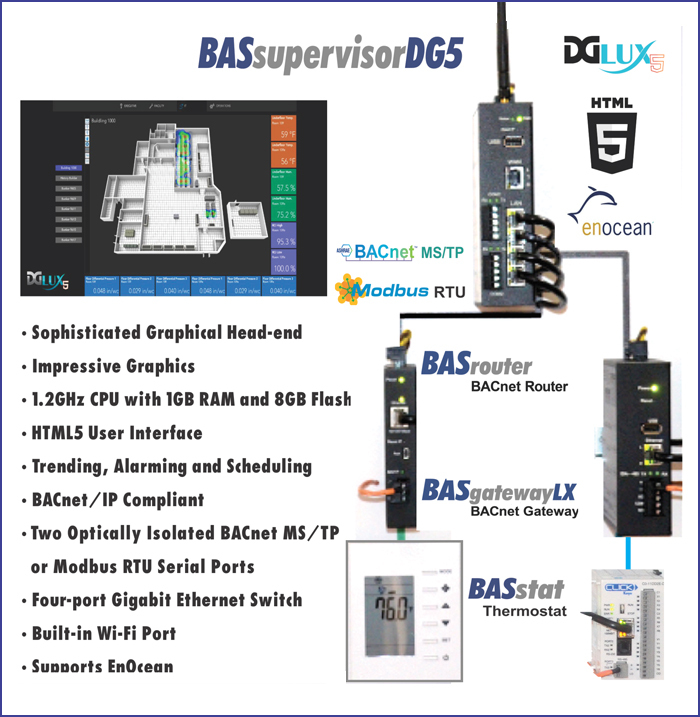 Powered by DGLogik, the BASsupervisorDG5 is a sophisticated graphical head-end with an HTML5 user interface as well as trending, alarming and scheduling capabilities. ?It is BACnet/IP compliant with two resident optically-isolated serial ports that can integrate to Modbus RTU and BACnet MS/TP. ?A four-port Gigabit Ethernet switch facilitates IP connections to Modbus TCP and BACnet/IP servers.